Care Dent Denture Clinic is a dedicated denture fitter and manufacturer that is based in Portlaoise county Laois. We are one of the only clinics that measure clients for dentures and manufacture our customised sized dentures for clients in-house. We offer our clients a complete service. From the initial measurements being taken to the dentures being fitted, Care Dent Denture Clinic handles every step of the process. We can offer clients the fastest turnaround of any denture service. We normally have dentures manufactured and fitted within 3-5 days. Do you want your dentures to be measured, manufactured and fitted in the same clinic? Then get in contact with Care Dent Denture Clinic today. As we take care of every aspect of denture repair in-house we’ll able to accommodate clients who are in need of emergency denture repair. Just call into our clinic and avail of our extremely convenient and fast service. We also make our services available to those with mobility issues or those unable to travel. We’re able to visit private residents and nursing homes to carry out measurements for dentures and to carry-out denture repairs. Are you in need of a quality set of custom made dentures manufactured within 3 to 5 days? Then get in contact with Care Dent Denture Clinic now. We extend our service to the measurement and manufacture of customised, made to measure sports guards. Our customised made to measure sports guards are perfect for any sport that requires teeth to be protected from impact. Our sports guards are notable for the comfort and safety they provide to sports persons. We invite anyone involved in an impact sport to call into our clinic to find out more about our made to measure, sports guard manufacturing service. Our anti-snoring oral fitted applications are the perfect applications for those of who snore during the night. Here at Care Dent Denture Clinic we take a cast of a client’s teeth and build the oral application around this cast. This ensures that our anti-snoring devices are very comfortable allowing the snorer to get the best night’s sleep possible. 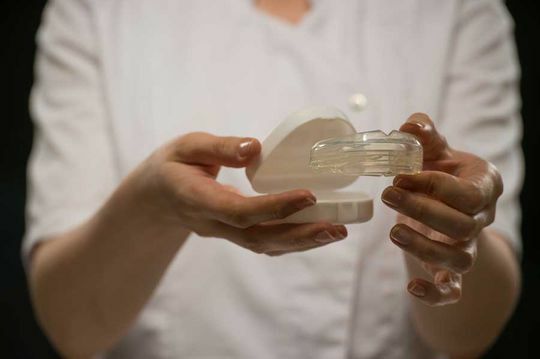 Like all of our products, our anti-snoring devices don’t need to be sent to a lab to be manufactured. We manufacture everything in-house. This ensures the quick manufacture and fitting of a client’s anti-snoring oral application. Is your snoring affecting the sleep of your household? Then have your custom made anti-snoring oral application fitted today. "Very pleased with treatment received from care dent denture clinic.very professional." 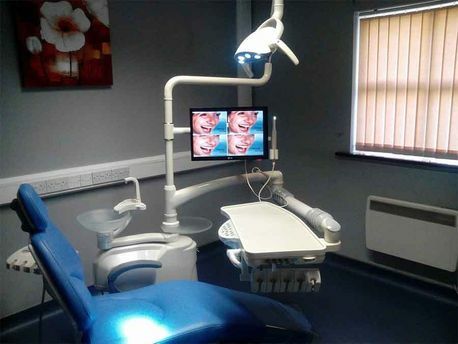 " I visited care dent denture clinic Portlaoise Very professional very hygienic great service I would recommend to anyone "
" I got a new denture made in care dent denture clinic Portlaoise my denture fit perfectly. They’re very comfortable and very professional, I can recommend care dent to anyone who wants dentures." To find out more about our all in one denture measuring, manufacture and fitting service get in contact with us today by phone or email. Alternatively you can call into our Portlaoise clinic.